There is no need to spend hundreds of dollars a year on expensive hair products, when the healthiest options exist right in your backyard! With this article, you can learn about several different vitamins that will pamper your hair in the best possible ways. Through diet or through the daily vitamin intake, there are several ways you can add these nutrients to your lifestyle for beautiful and lustrous hair. 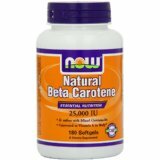 Of all the vitamins, Vitamin A is one of the vitamins for hair. There are many foods that are high in Vitamin A content, from carrots, leafy greens, cantaloupe, milk, meat, cheese and eggs, which you can easily incorporate into your diet. It helps to combat free radicals that can result from pollution outdoors, resulting in the lightest and shiniest hair you have seen yet! It will also add strength to the shaft of the hair, helping growth and preventing breakage. Another vitamin high on the list for health of hair is Vitamin E, which helps improve scalp circulation, softens the skin, and adds to softness of hair. It is renowned for its ability to improve the condition of skin and hair, so you can’t go wrong with adding a little bit more of it to your lifestyle! You can easily find it in vegetable oils, soybeans, raw seeds and nuts, dried beans and leafy vegetables. 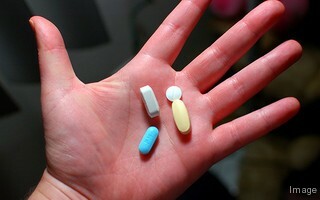 A third Vitamin is Folic Acid, which can be found if you are taking a Multivitamin B Complex. 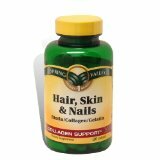 If you are looking to grow your hair as quickly as possible, this vitamin can help maintain a regular cell regeneration in the infected hair follicle. It also helps prevent grays, thickens the hair, adds sheen and keeps moisture in the shaft (which can help prevent it from breaking easily). You can find Folic Acid in such foods as whole grain breads, cereals, sunflower seeds, peanut butter, milk, or in supplemental form as part of your daily routine. The last vitamin to include in this list is Biotin, offered in many different supplemental forms. 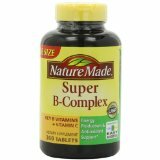 Most hair care experts recommend that if you have any deficiency of Vitamin B, you should take full Vitamin B complex supplements or eat foods that contain it. 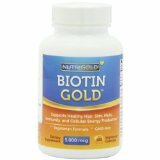 Check complete report about Biotin. There are several forms of Vitamin B that offer a myriad of benefits to your hair all of which can easily be incorporated into your daily diet or supplement routine. Vitamin B2, also known as riboflavin, plays an essential role in metabolizing fat, protein and carbohydrates. If you become deficient in riboflavin, this can result in hair loss. Vitamin B5 can be applied to the hair to add sheen and strength, or taken internally to prevent hair loss. It is best to find these vitamins in foods rich in B-complex vitamins, such as green leafy vegetables, fish, peanuts, bread, eggs, milk and red meat. As you see, there are many ways to incorporate vitamins for nails and hair in your daily diet and supplement routine. Between good hydration, a healthy diet and regular nutrient intake, you are on your way to a shiny mane of hair. Some peoples using even prenatal vitamins, we will review these methods on our next article. I have a question: do you know about new researches on vitamin D? Just people speaking what in the proper dose this vitamin with fgf9 will real cure for baldness. Hello, Laura! You need to check our article about “Is A Cure For Baldness On The Horizon”, here is you will find that information. However, it still experiments, and nobody right now unable to confirm the effectiveness of vitamin d for hair loss treatment.